With summer just begun, it is getting hotter by the day and so many women are searching for just the right hat that has the perfect blend of fashion and function. While winter hats are obviously designed to keep the head and ears warm on those frigid days, summer hats need to be designed in such a way as to provide covering without being overly heavy and hot. If you pay attention to the hats that are trending in 2015, you’ll see that they are designed specifically with this in mind. Here are some of the features of summer hats trending for 2015. 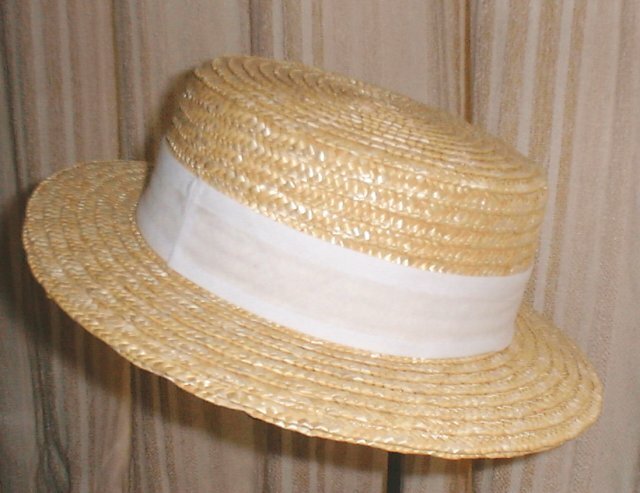 Although fashionable straw hats are always a summer ‘must have’ for any wardrobe, the one thing which many women don’t take into consideration is whether or not the hat they choose is made from real organic ‘straw.’ Those made from synthetic materials are going to be just too hot for comfort as they don’t breathe, no matter how wide the weave. If you are going to buy a straw hat, make sure it is crafted only from organic, biodegradable materials. One of the most common features of summer hats you will notice in fashion trends this year is that lovely, oversized wide brim. Yes, wide brimmed hats are totally fashionable but also totally functioning as well. We all know what kind of damage the sun’s UV rays can do to the delicate skin on the face, so to avoid premature aging and the potential to develop skin cancer find the widest brim possible. You can see some great summer fashions on sites like Westfield Style. But each has a slight variation trending in 2015. Polka dots are still in this summer, so wide ribbons just above the brim are done in wider banding with larger than normal polka dots. Also, big bows are trending, so hats such as the Panama Straw Hats and Bucket Style Hats can be seen with large bands and lovely big bows. Yes, we mentioned above that summer hats have an important function in preventing damage to the skin, damage caused by those UV rays. You may come across a designer who thinks a smaller brim is a nice difference from the norm, but when it comes to summer hats, that might not be the best choice for you. If you live in a climate that gets full exposure during those hot summer months, opt always for a wider brimmed summer hat, trending or not. Here you have the rundown on summer hats trending in 2015. Each designer may have his or her own variation but one thing is for sure. Always make sure that your trendy summer hat is just as functional as it is fashionable.